No Need Bank Pin and Supplies . Time: It takes 3-5 hours. Items: red dragonhide set>void ranger set, snakesing boots ,.rune crossbow +4000broad bolts, god book,4 pineapple pizza,100 sweets,23 prayer potion（4）,amulet of glory, avas > cloak. You can get Void knight top, Void knight robe, Void knight gloves & Void knight melee helm. You can get Void knight top, Void knight robe, Void knight gloves & Void knight range helm. Costs 250 Void Knight Commendation Points (obtained during Pest Control).Level 42 Attack, Strength, Defence, Magic, Constitution, Ranged and 22 Prayer to wear. Bought from a Void Knight for 250 Void Knight commendation points. At least 42 Attack, Strength, Defence, Hitpoints, Ranged, and Magic, along with 22 Prayer to wear. Costs 150 Void Knight Commendation Points (obtained during Pest Control). Level 42 Attack, Strength, Defence, Magic, Constitution, Ranged and 22 Prayer to wear. You purchase this item from the Void Knights for 200 Pest Control points. At least 42 Attack, Defence, Strength, Magic, Hitpoints, Ranged, and 22 Prayer to wear. You purchase this item from the Void Knights for 200 Pest Control points. 42 Attack, Defence, Strength, Magic, Hitpoints, Ranged, and 22 Prayer to wear. You purchase this item from the Void Knights for 200 Pest Control points. Level 42 Attack, Strength, Defence, Magic, Constitution, Ranged and 22 Prayer to wear. Bought from the Void Knight at Void Knight Outpost for 250 Pest Control Points. 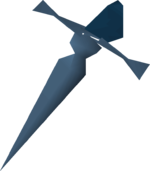 It is the only weapon in the game that can auto-cast Claws of Guthix. You can get Void knight top, Void knight robe, Void knight gloves, Void knight mage helm, Void knight ranger helm & Void knight melee helm. Skills: A minimum of 40 strength, 40 attack, 40 defense & 50 HP. Armours: Rune armour set and rune scimitar or better. Games necklace and no cape on or other item in inventory. Time: About 7 hours or longer depends on the skills level. 40 Defence and 50 Strength to wear for protection. 40 Defence to wear to reduces weight by 7 kg when equipped. 60 Magic and completion of the Mage Arena mini-quest to wield for combat. Our gamer will complete the mini-quest for you and get you the staff. 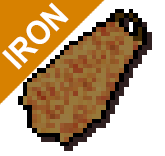 Items: At least a set of Adamant armors, a set of Rune armors, a Rune scimitar and some food. Or some gold coins for these items. Skills: Attack+strength 130+ and defense 60+. It will take about 10 hours to get it.